Share the love! Tomorrow we will be exchanging valentines with classmates! 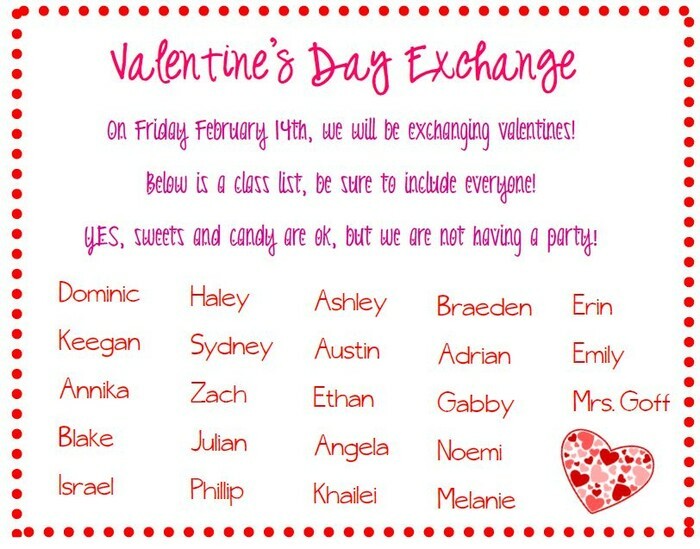 If you are participating, please be sure to bring a valentine for each classmate. Mrs. Goff has extra if you need any! The names of each classmate are on the picture below.